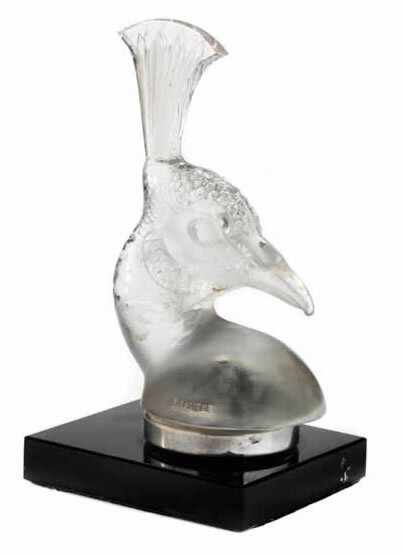 R. Lalique Bookends: Except for Amour, Coq Houdan-B, and Hirdondelle-B, all other models are car mascots or paperweights set in bases. 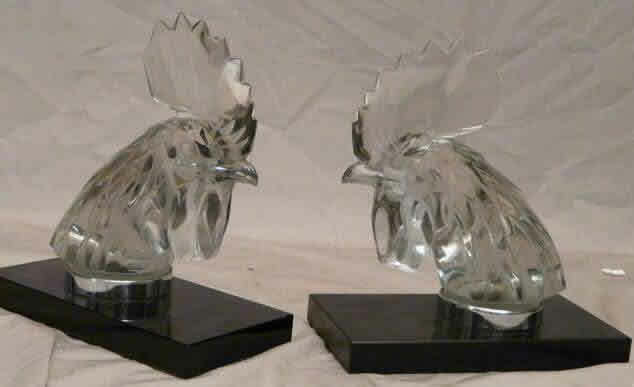 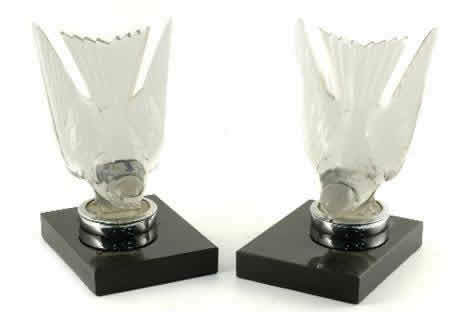 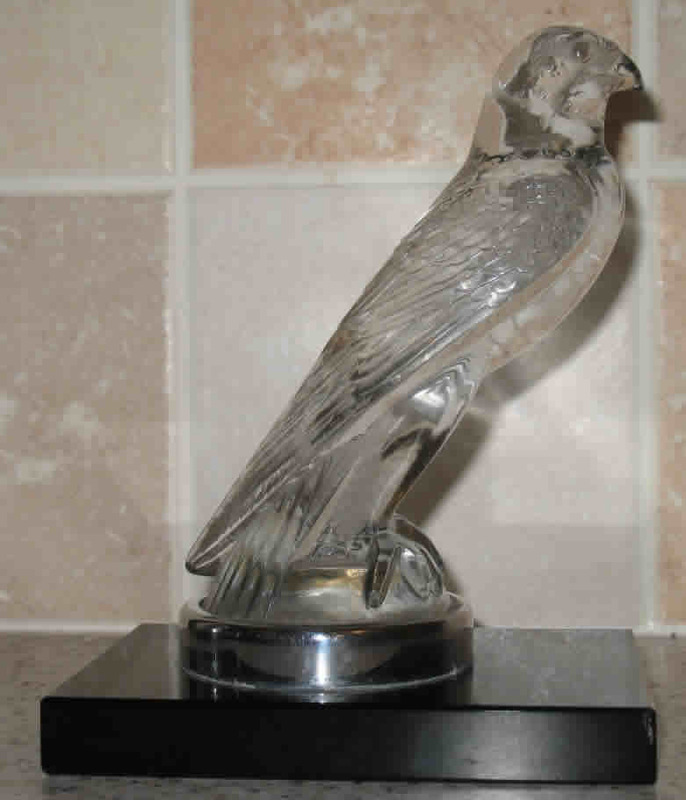 And of the mascot and paperweight bookends, all but the clear based Tete D'Aigle-B have a decorative metal trim ring around the bottom of the mascot or paperweight. 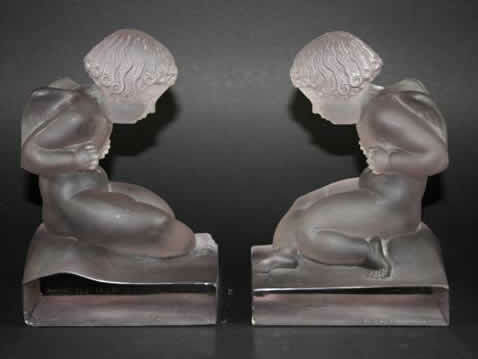 Bookends are also referred to by the French phrase Serre-Livres. 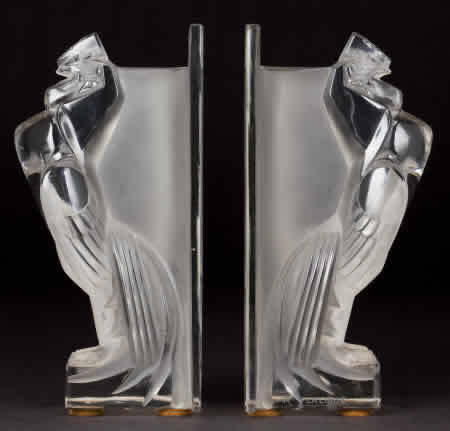 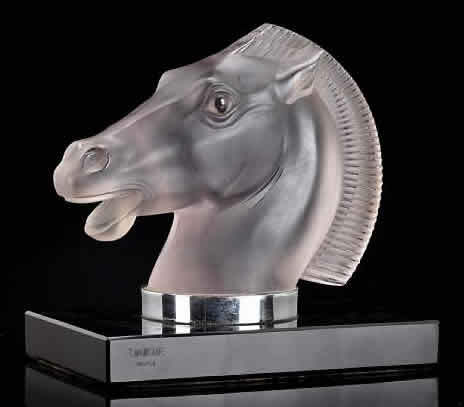 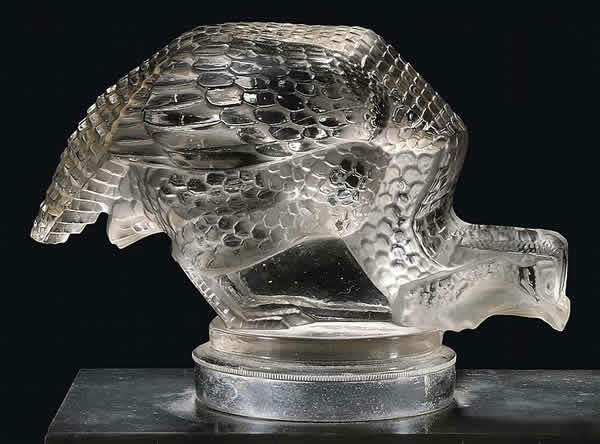 16 R. Lalique Bookends are shown out of 16 commercial models of which 3 are variants of other models. 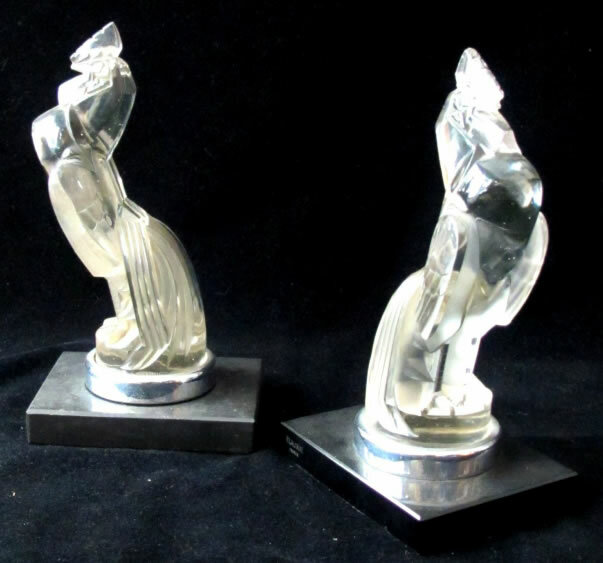 Of those 16 models 13 were sold without bases as Car Mascots. 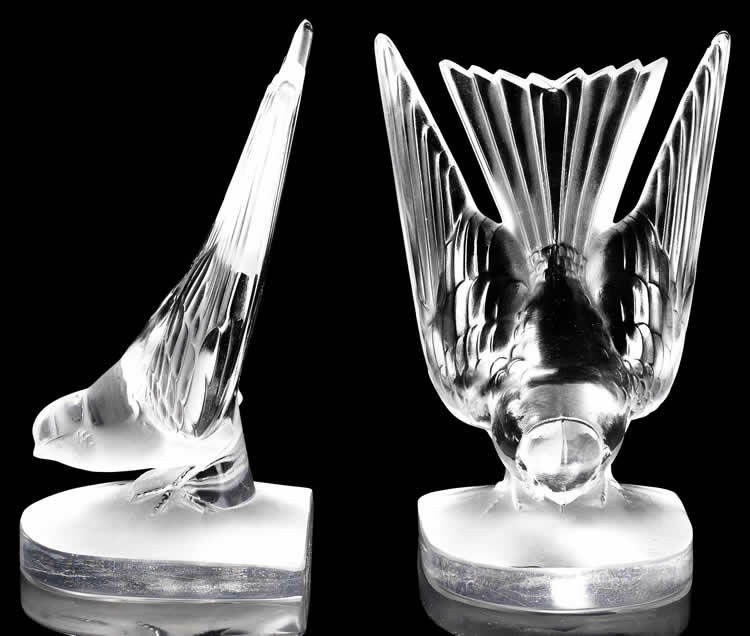 The 3 non-mascot models are Amour, Coq Houdan-B, and HIrondelle-B. 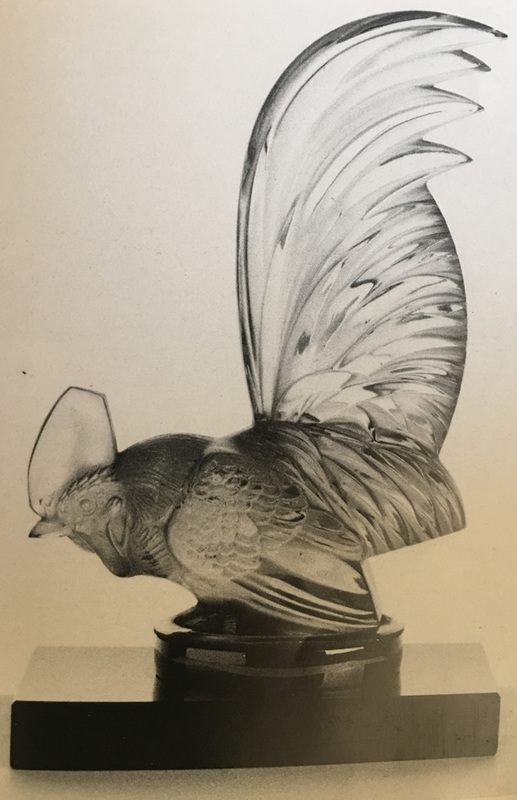 Finally, we don't know of any documentation that would make the Tete D'Aigle-B Bookends with the clear glass bases pre-war. 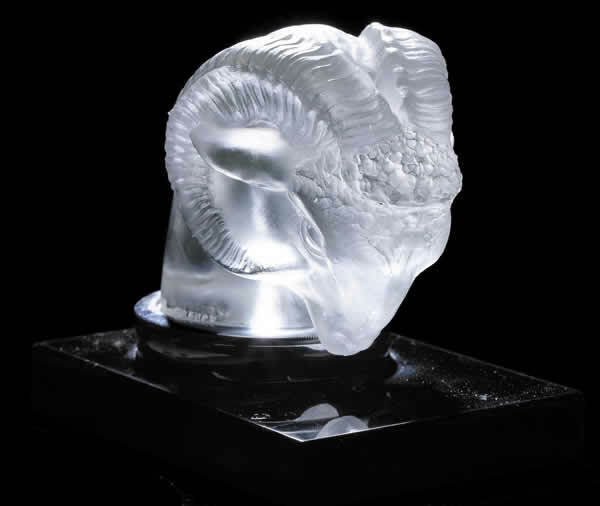 However, they are included in some of the literature and so we have included them here.